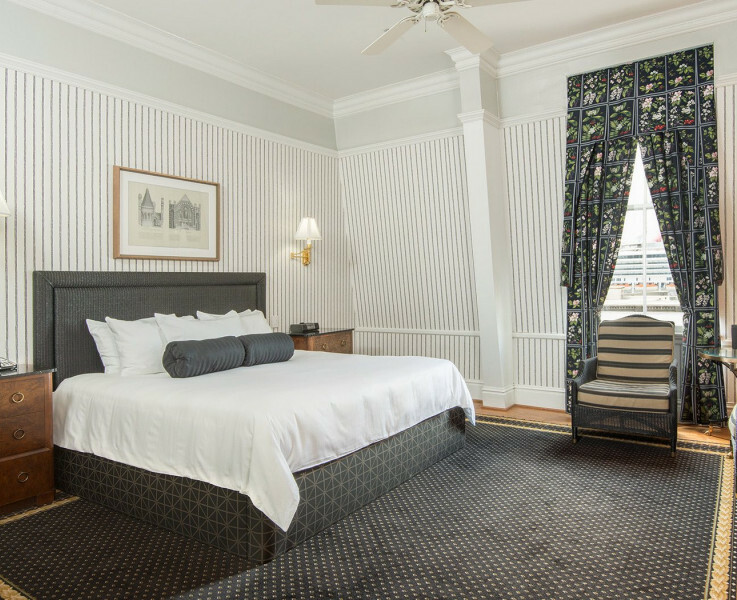 As a premier Galveston, Texas hotel, we understand travel can be tiring. To help you relax and escape the everyday monotony, we offer a balance between warm and welcoming. 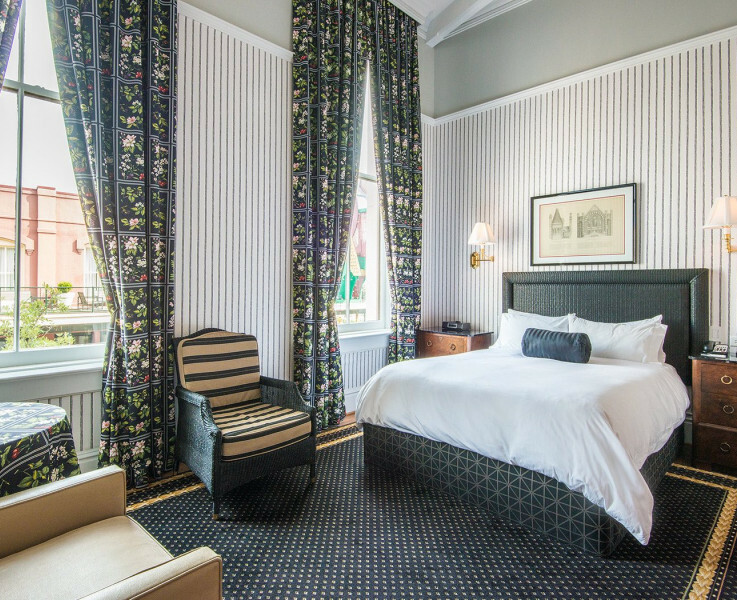 With an array of premium amenities, guest rooms, and suites, we ensure you benefit the most from your stay. 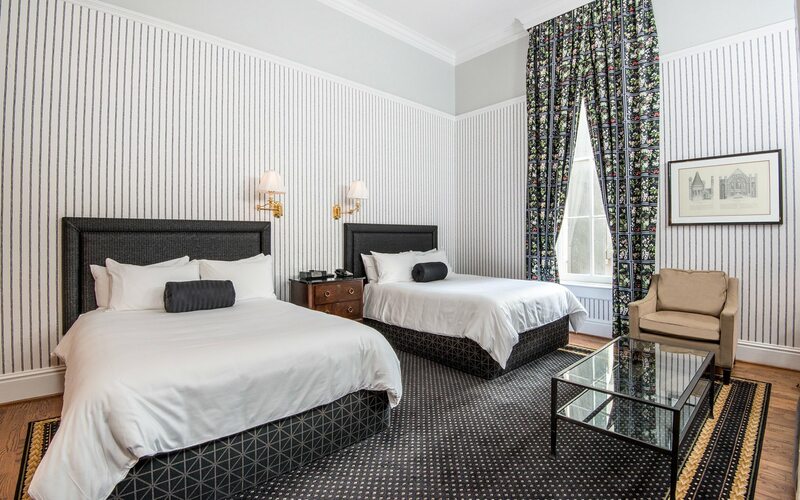 Modern conveniences like an HD television with premium channels, free WiFi, and a coffee maker with Wolfgang Puck Coffee make our Single Queen room an appealing option for comfort seekers. 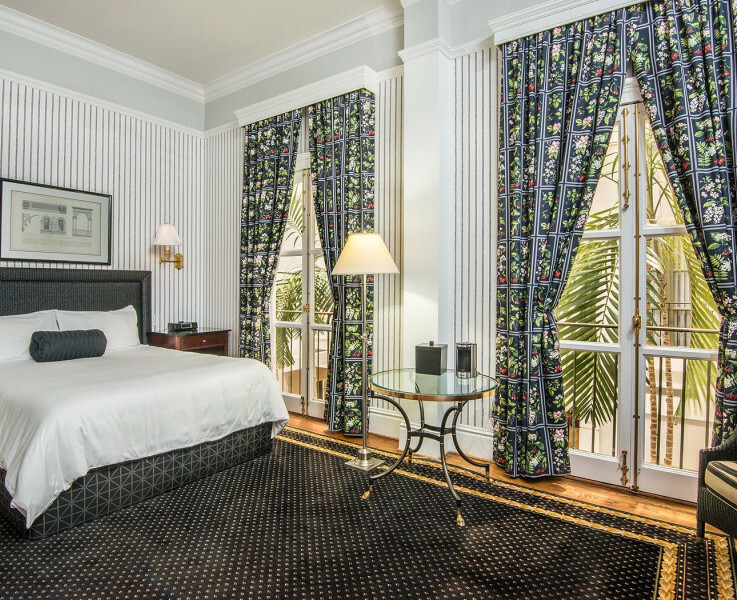 All of our rooms are non-smoking, and our superior guest services are designed to enhance your stay. 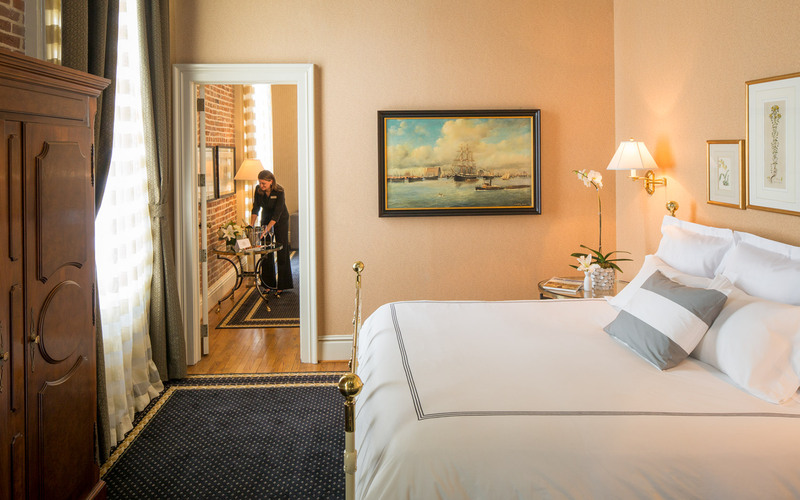 Our Single King Bed lodgings offer much in terms of comfort and convenience. Enjoy an HDTV with premium channels, Gilchrist & Soames bath products, and plush bathrobes. 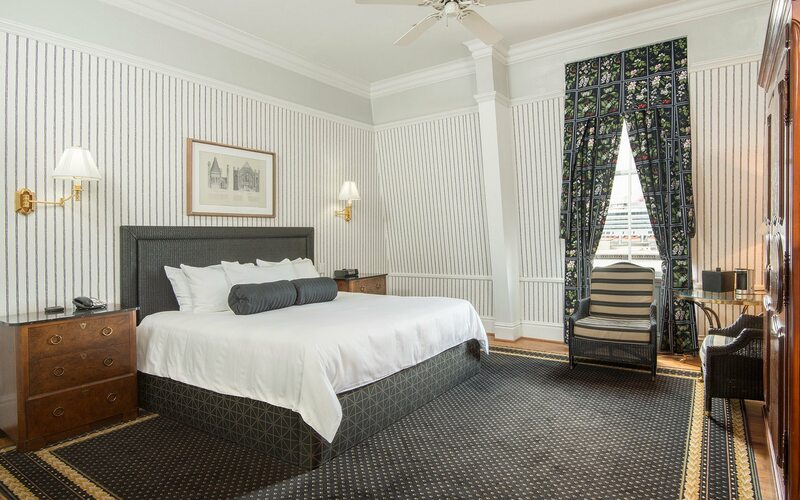 Embrace classy touches like vaulted ceilings and hardwood flooring inside our Double Queen rooms. 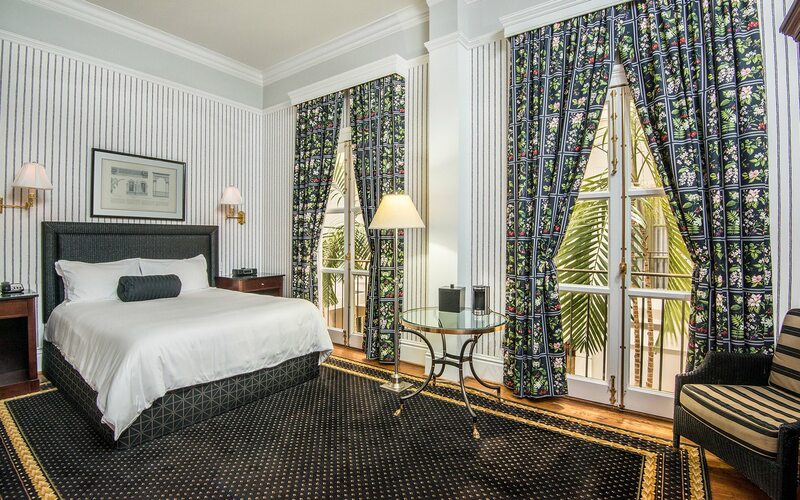 Complete with 2 queen-sized beds, this space is perfect for multiple guests. From non-smoking options to refined bath products, we add relaxation to your experience. 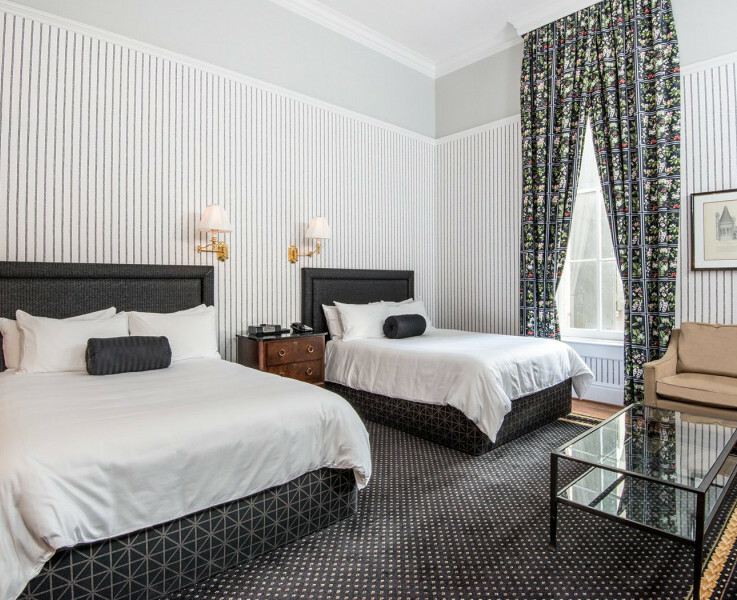 We’ve taken a thoughtful and considerate approach in designing our ADA accessible rooms. Amenities include a roll-in shower area with a bathroom seat, a shower with safety bars, a raised toilet with grab bars, bathroom rails, and bathroom doors that open outward. Simple, yet sensational. 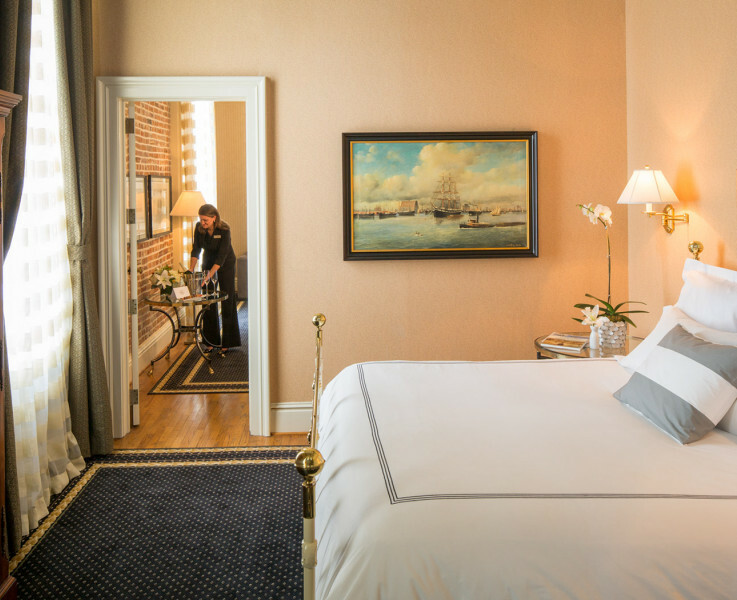 Some of these spacious accommodations feature architectural details like exposed brick, pressed tin ceilings, and plantation shutters. 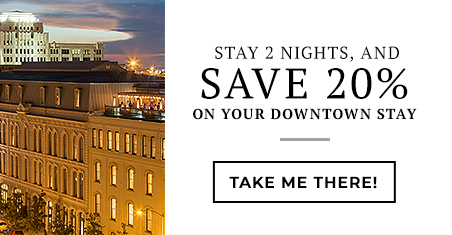 Filled with thoughtful amenities like a king bed, separate living area, relaxing bath products, and complimentary WiFi, you experience a true taste of Galveston charm. 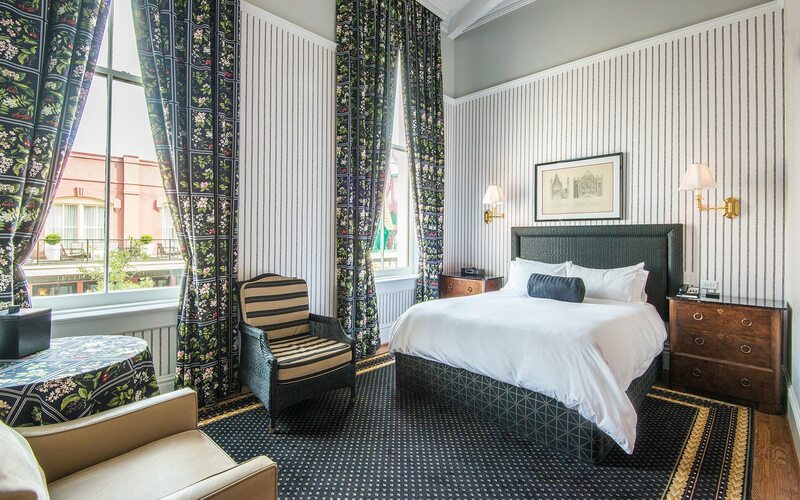 The Tremont House proudly presents The Quarters at The Tremont House, where guests can relish a hotel stay far from the typical. 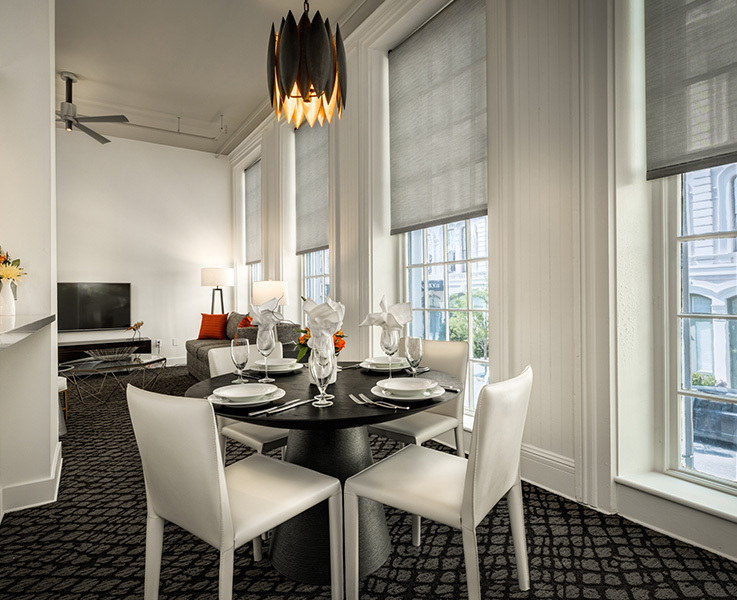 Immerse yourself in an extraordinary array of comforts and amenities.